MGF Roofing firmly believes that the outside of your building or asset should not suffer. Just because some of the areas that need attention are in hard to reach places, and as often is the case, the expense to repair these areas can be off-putting. This is especially true for small repair works such as pointing, Mastic, gutter repairs and maintenance. Regardless of the maintenance or repair work required to bring the building back up to standard. Our professional rope access technicians can help. 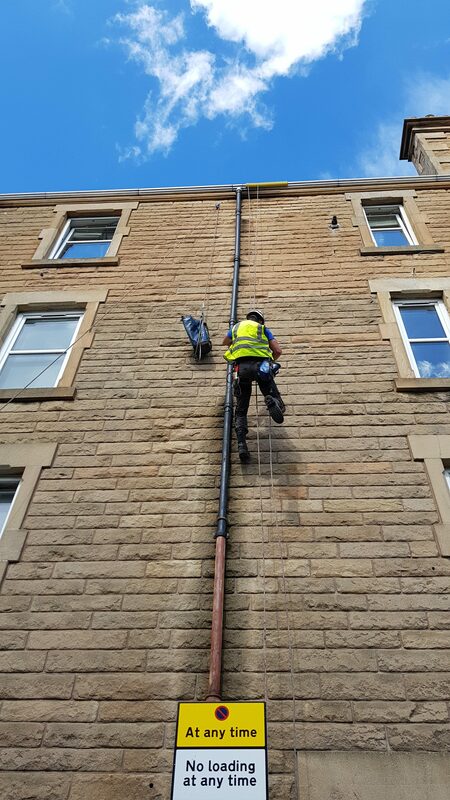 Carrying out Rope Access Repairs is not only cost-effective and environmentally friendly option for building maintenance and repair. Our Rope access technicians are able to ascend, descend and traverse around and across your building ensuring we can reach places no other access method can. It is tempting for clients to leave these maintenance tasks too late. Believing they will be too hard to carry out or are to cost prohibitive to fit within their maintenance budget. Working with our clients to put in place preventative maintenance packages ensuring no part of the building is left untreated or exposed, reducing the need for emergency repairs that can be costly. 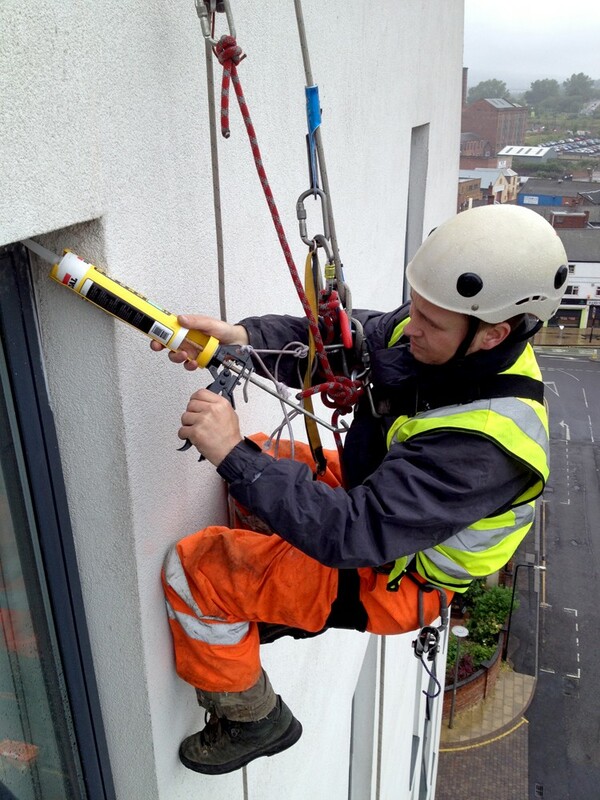 MGF carry out all manner of building maintenance and repairs using rope access techniques. 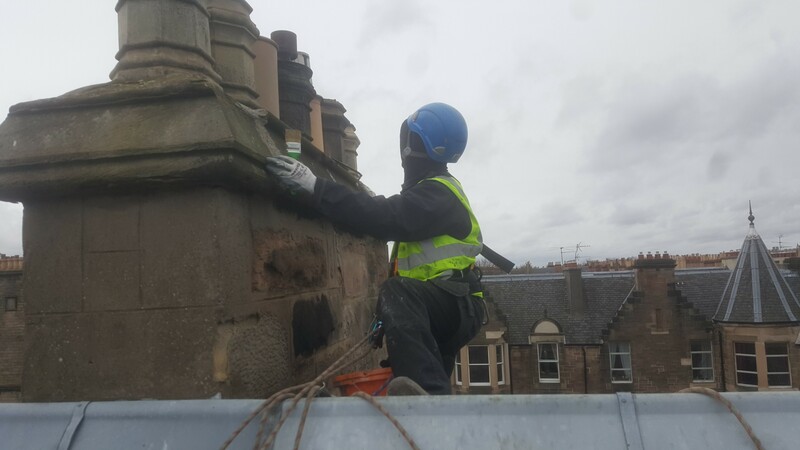 Including roof and gutter cleaning, downpipe repair, unblocking and removal, window cleaning, repair and mastic application, render repair and removal, brickwork re-pointing and general maintenance and cleaning. 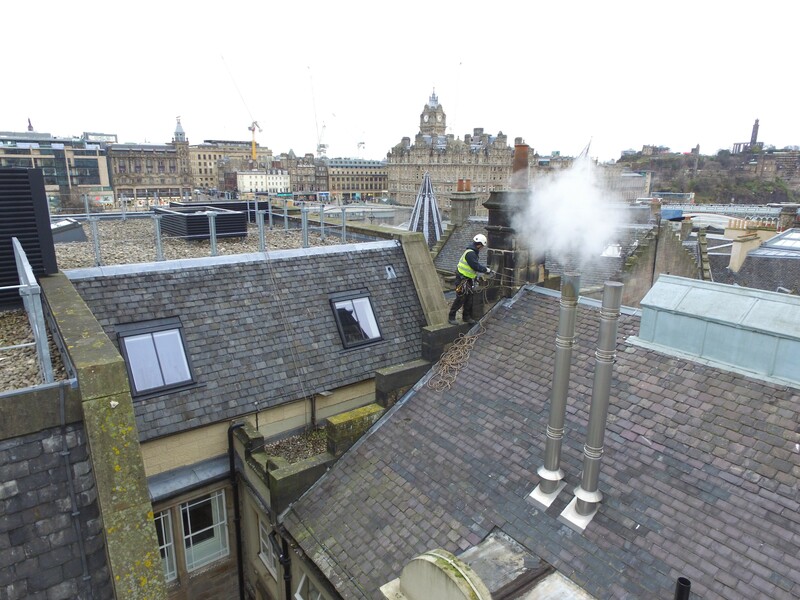 Being one of very few Rope Access Roofing Companies in Scotland. All our roofers are IRATA trained and adhere to IRATA's international code of practice. 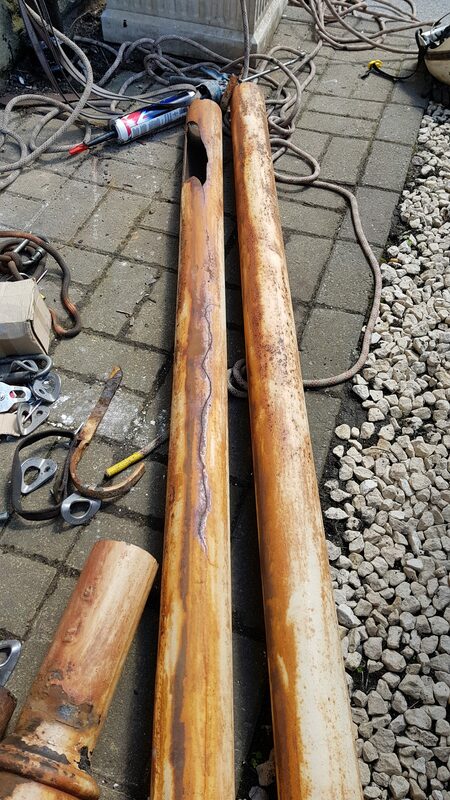 Ensuring the safety of our employees and public when undertaking any repairs. 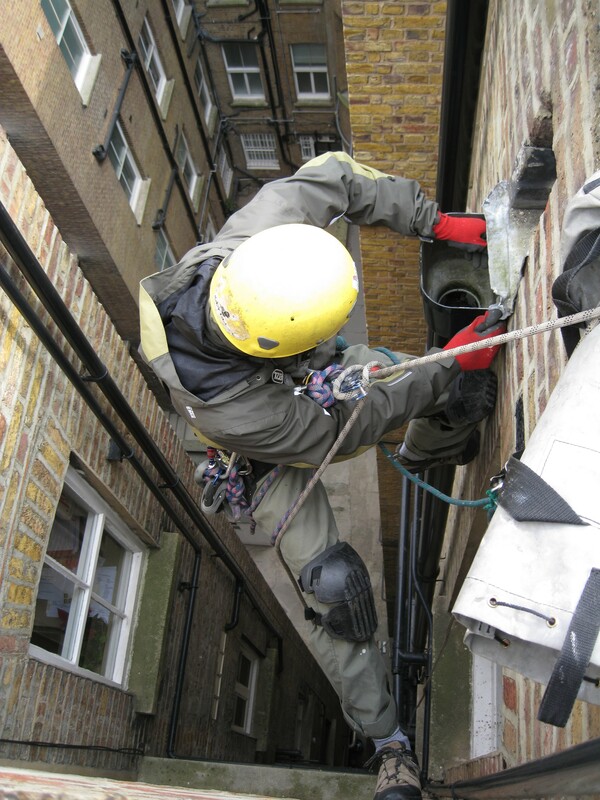 Fully insured and accredited you can be confident in all our Rope Access Repairs. Issuing a guarantee on all works completed and ensuring we carry out the job as safely and cost-effectively as possible.